The holidays are finally here! Tis the season for great food, good cheer, and a little bit of time off, right? Any kid would certainly like to think so. They get a few weeks out of school and suddenly their time is opened up to a world of possibilities! 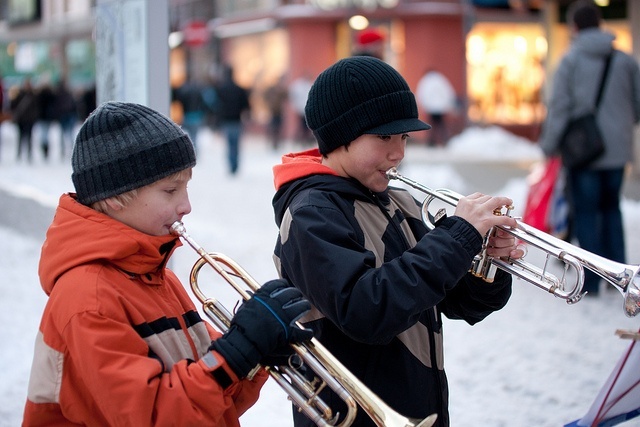 Amidst all of the fun, however, some kids still have responsibilities they need to take care of, like playing their instruments. Depending on the child that you ask, you may get a different answer to the question, “Do you like to practice your music at home?” Some kids love it, and others would rather be playing Superheroes. Whatever the situation, if your child is learning a musical instrument, it’s important that they stay on top of practicing at home so that they can maintain progress over the holidays. Take a look at some of the ways you can encourage your child to practice their music. For some kids, it’s very helpful to have a specific routine to follow every day. Whether it’s practicing once for an hour, or three times for 15 minutes, see if your kid finds practicing with a schedule helpful. There are small things you and your child can do throughout the day that keeps music in mind, such as listening to it in the car or singing a song while they brush their teeth! 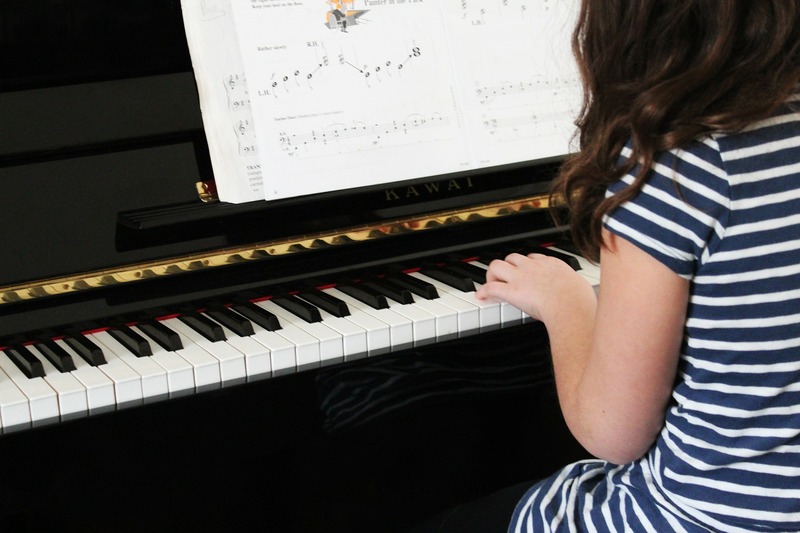 It doesn’t really matter if you’re musically inclined or not – your child might have a lot more fun during practice if you play, sing, or just listen along! Get excited to hear their progress, and encourage their efforts even if it’s still a little bumpy. You’re definitely going to make some fun memories when you practice with them. Mentally, it can be easier for kids to practice if there isn’t a lot of prep involved. Simply keeping the guitar out helps it become available to pick up and play a little throughout the day. We understand that some instruments need to be taken care of in a particular way – just be careful not to fall into the “out of sight, out of mind” mindset! Weekly Treat – After your child has successfully practiced for the correct amount of time each day of the week, take them out for a little bit of fun! You can buy them an ice cream cone, or go to the zoo for a fun trip! Token System – Give them a paper ticket every time they practice. After a while, they can turn in their collected tickets to get some sort of bigger reward! Sticker Schedule – Create a daily practice schedule for your child. Once they’ve completed their practice, they get to pick out a sticker and place it on the slot for that day. This one is a smaller rewards system, but who doesn’t like stickers? All kids need is a reason to practice at times. One really great way to encourage them is to put on a show! It doesn’t have to be big or fancy – it can be just for the family or close friends. Having a goal in mind each time they practice will help them want to progress. This can be a really fun thing for everyone involved – your child, and maybe even family that is in town for the holidays. Let Them Choose Their Own Music - If they're going to practice, it may as well be something they like. Maybe even Christmas music! Switch Up the Times - Change the times of the day for them to practice. Every kid is different – maybe yours is just more productive in the evening than the afternoon. You’ll never know unless you try! Try Free Play - Having days of “free play” where they can deviate from the pieces they are currently learning to just mess around on their instrument and see if they create any new tunes. This may also help your child enjoy playing their instrument more. As Thanksgiving is tomorrow and Christmas is just around the corner, encourage your child in their musical abilities – and see how they can improve over the holiday break! Try out some of the advice above, and let us know what you think! Do you have any tips for helping your child practice their music? Leave a comment to let us know! It may help another parent trying to motivate their child to practice.